Kiwis used to be known as the Chinese Gooseberry – as it originally comes from the north of China and grew in the Yangtze River valley – but started to be known as the kiwi fruit after it was started being grown in New Zealand. Apparently the name change took place in order to minimize costs with exporting anything being categorized under the section ‘berry’, not to mention its resemblance to the kiwi bird. If you think about it, both are round, brown and fuzzy – in outward appearance at least! Kiwis can easily be classified as a superfood. Think of them as the Vitamin C hand grenade – it may be a compact package, but it packs a powerful punch! Vitamin C is vitally important for your immune system – it’s the ingredient that stops you from picking up the sniffles in the winter – and gives you a boost of antioxidants. Moreover, the kiwi fruit contains a wide range of vital nutrients, including actinidain, which is a protein-dissolving enzyme that promotes digestion and potassium, which helps keep your electrolytes in balance and helps maintain your blood pressure. It also provides you with vitamin E, phosphorus, magnesium, copper and choline. 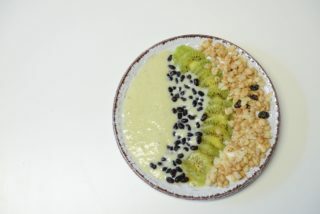 How does a kiwi’s nutritional information look like? 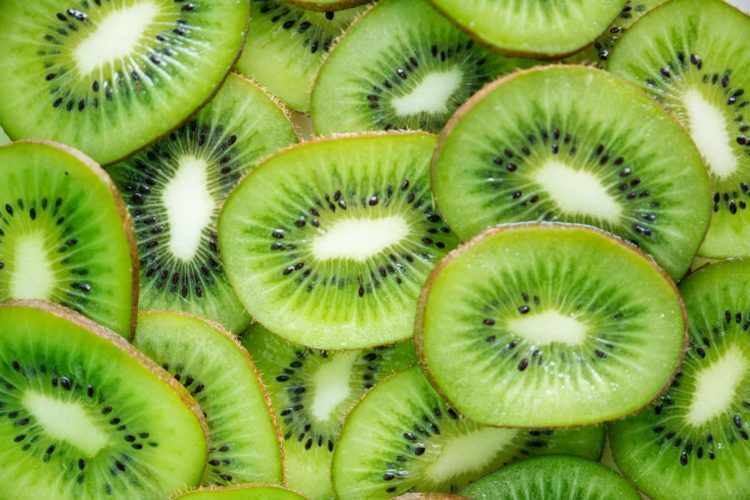 Not only are kiwis high in fibre – an important ingredient for the prevention of a host of diseases – but they are known to have a light laxative effect due to the high levels of actinidain. If you’re experiencing some constipation, therefore, this is what you want in your grocery shopping bag instead of the strong laxative that you haven’t tested out yet. It can also help patients struggling with irritable bowel syndrome. The high levels of Vitamin C in kiwis helps to protect and stimulate the production of collagen, which is a type of protein found in the in the second layer of the skin. Along with other proteins such as elastin, collagen strengthens the skin. Vitamin C works with the amino acids to produce it, whilst protecting your skin and body against toxins and helps with the production of hyaluronic acid. Studies show that the consumption of kiwis often result in improved quality of sleep – something that more and more people are struggling to achieve with today’s modern lifestyle. The Taipei Medical University carried out a study in which it was found that antioxidants and serotonin were some of the medicinally useful compounds discovered in kiwis. These proved to be of use in the treatment of sleep disorders. Instead of spending a fortune on the latest anti-aging cream – you can help stimulate your skin cells to boost this ingredient-production by eating the right foods and living a healthier lifestyle. Click on the link to find out which nutrients work together to encourage the production of collagen in our bodies as well as maintain its production against environmental factors.